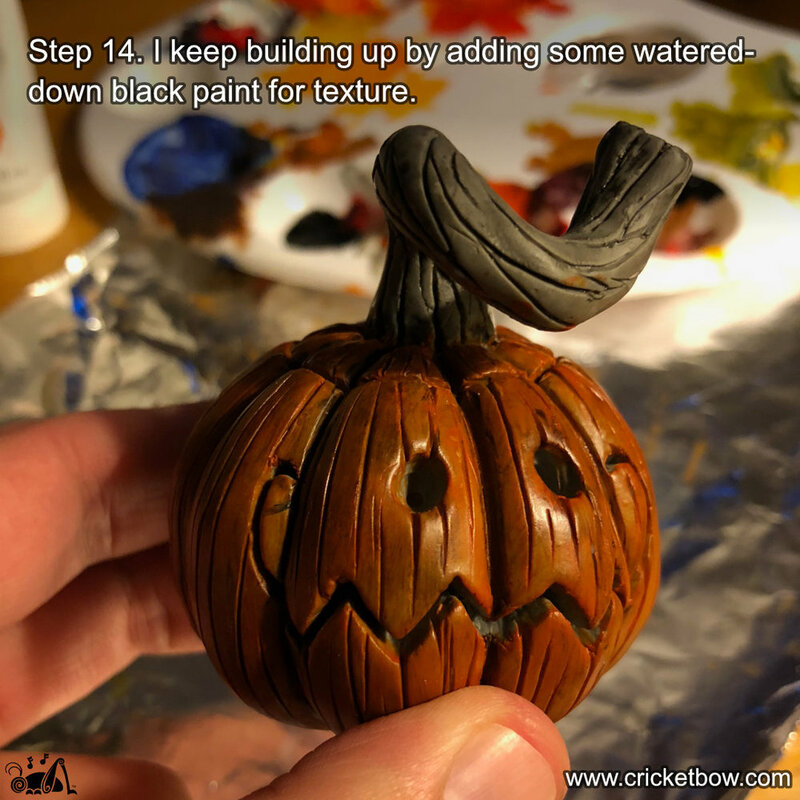 Lately, I’ve been getting into sculpting pumpkins and jack o’lanterns with Super Sculpey sculpting compound. I thought I would write up a tutorial on my process. 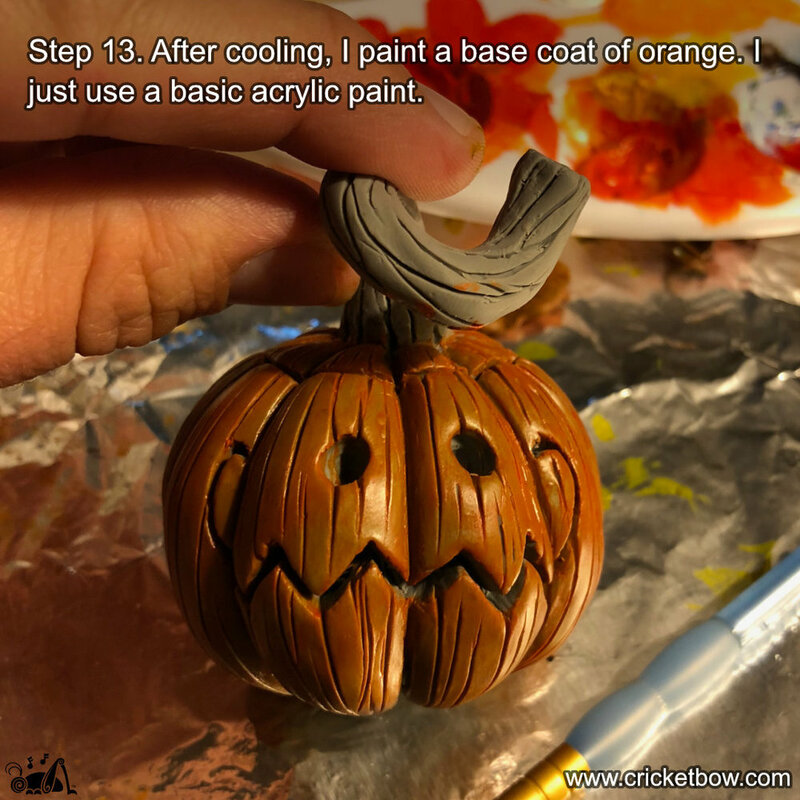 Sculpey is easy to use and this can be a fun Halloween activity for adults and kids alike! 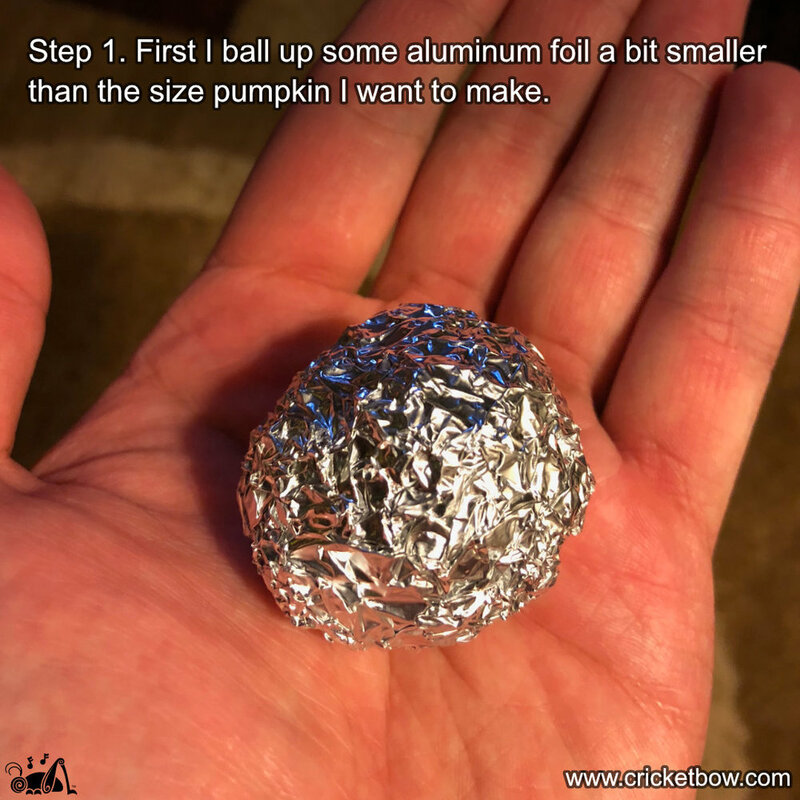 First I ball up some aluminum foil a bit smaller than the size pumpkin I want to make. I roll out a sheet of Super Sculpey clay and wrap it around the aluminum foil ball. I like to use firm Super Sculpey, as it holds texture better and doesn't pick up fingerprints as much. 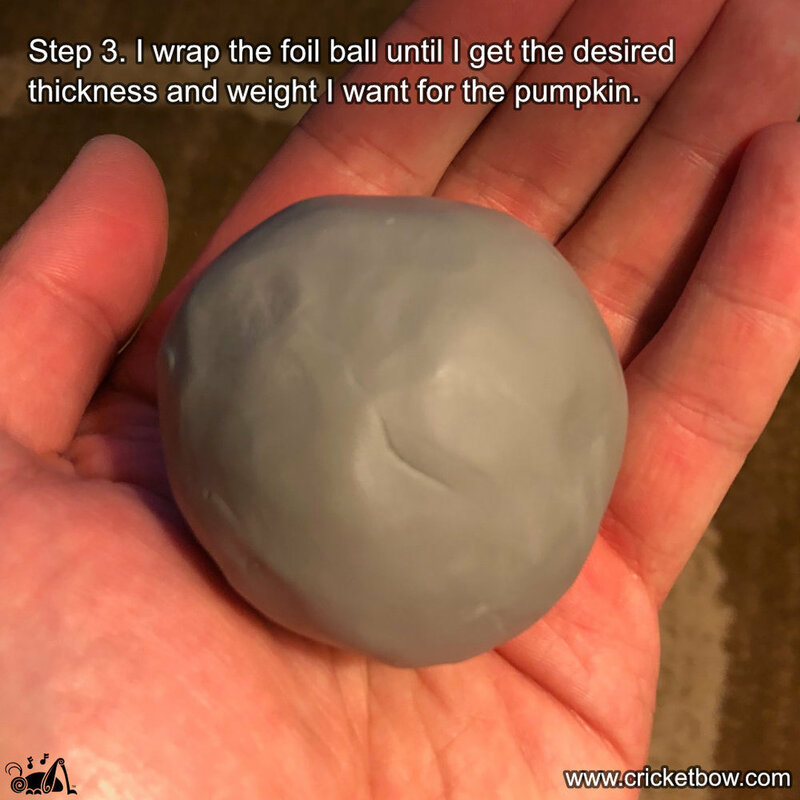 I wrap the foil ball until I get the desired thickness and weight I want for the pumpkin. 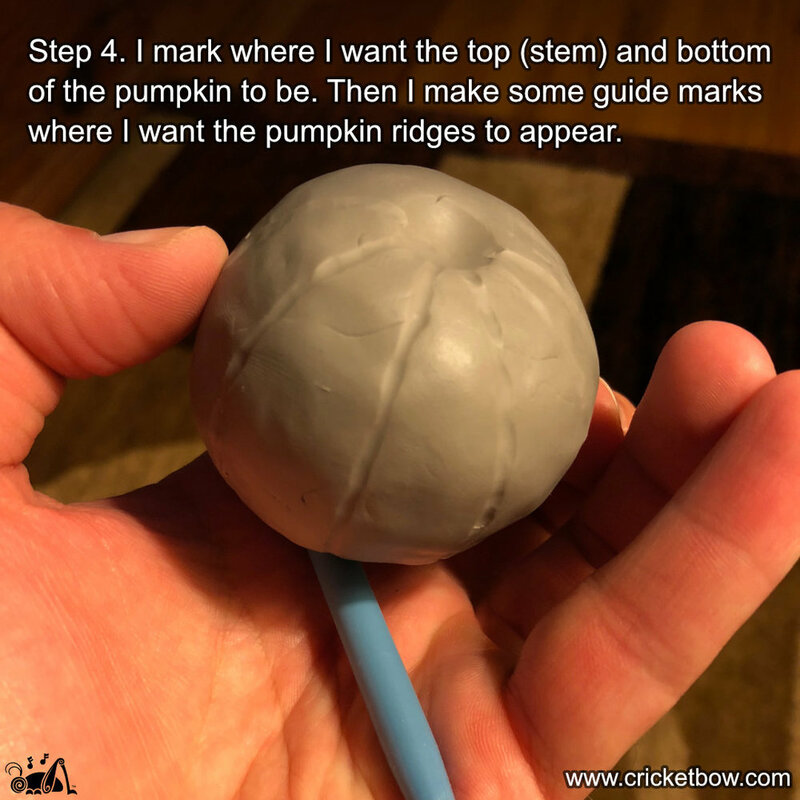 I mark where I want the top (stem) and bottom of the pumpkin to be. Then I make some guide marks where I want the pumpkin ridges to appear. I start to sculpt the pumpkin ridges. I keep working the ridges into nice bumps around the pumpkin. 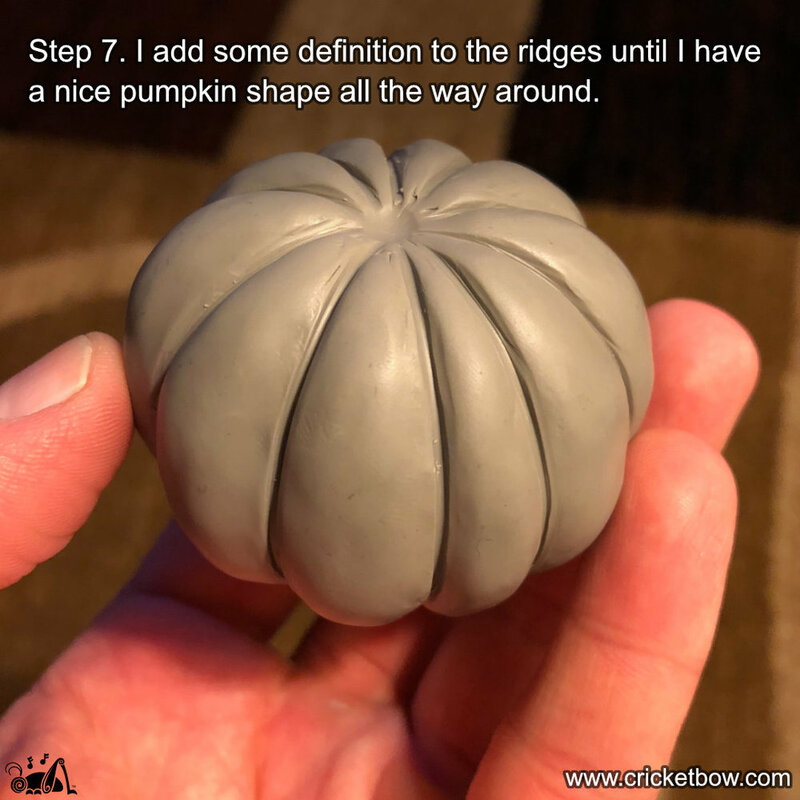 I add some definition to the ridges until I have a nice pumpkin shape all the way around. I sculpt the basic shape of the stem. Some thin armature wire can be used to reinforce the stem a bit to help keep it from breaking. After attaching the stem to the pumpkin, I sculpt in some texture lines to give it a twisted, woody character. 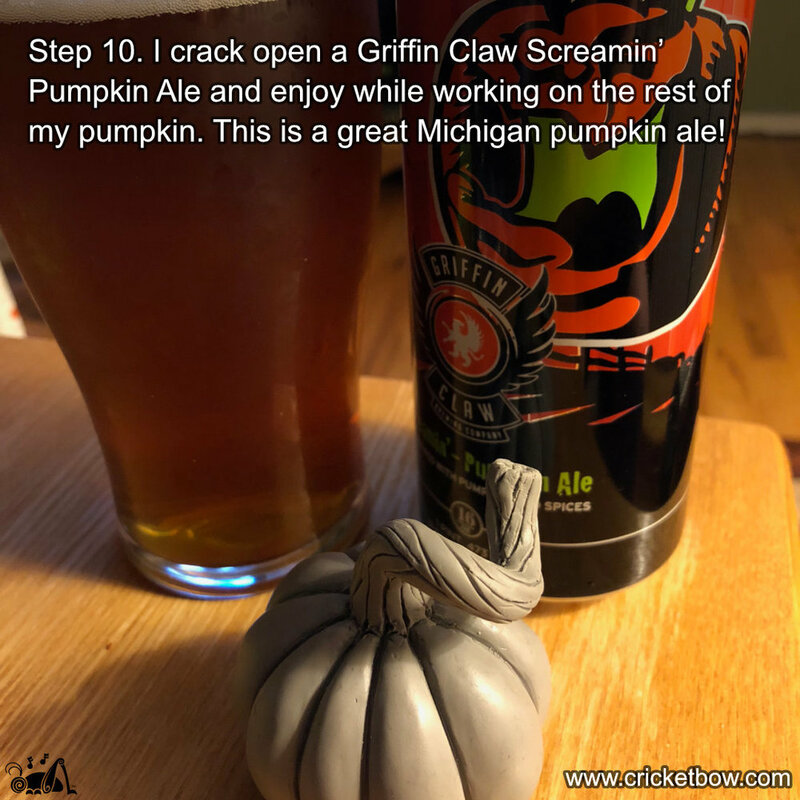 I crack open a Griffin Claw Screamin’ Pumpkin Ale and enjoy while working on the rest of my pumpkin. This is a great Michigan pumpkin ale! 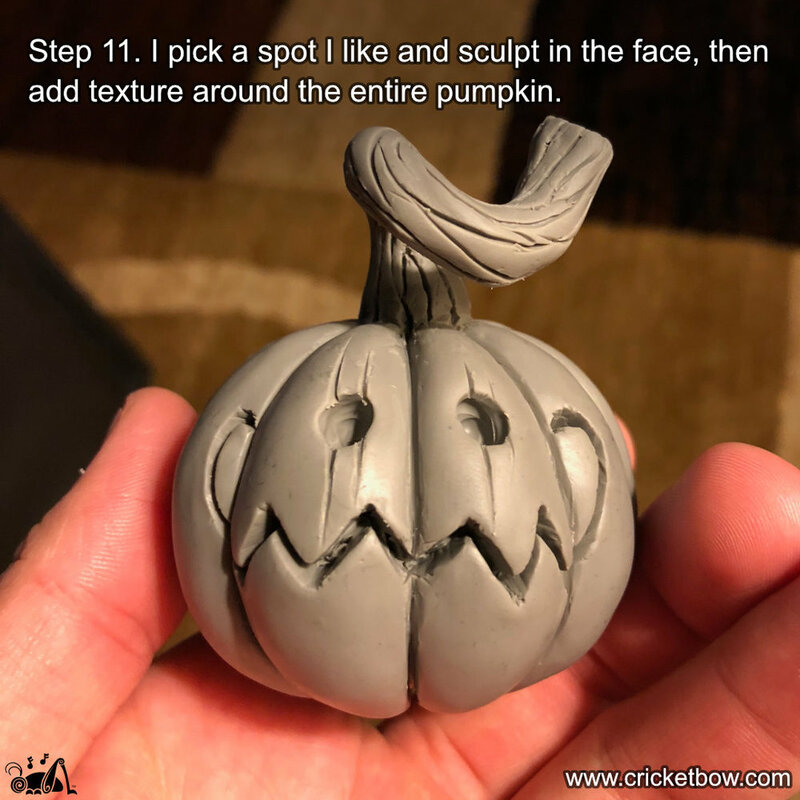 I pick a spot I like and sculpt in the face, then add texture around the entire pumpkin. After I have the texture and face defined, I set in the oven and bake at 275 degrees for 15-20 minutes. After cooling, I paint a base coat of orange. I just use a basic acrylic paint. I keep building up by adding some watered-down black paint for texture. I work on some brighter orange, some black in the facial features, and begin painting the stem. Fast forward a little bit to the final pumpkin complete with splotchy texture! 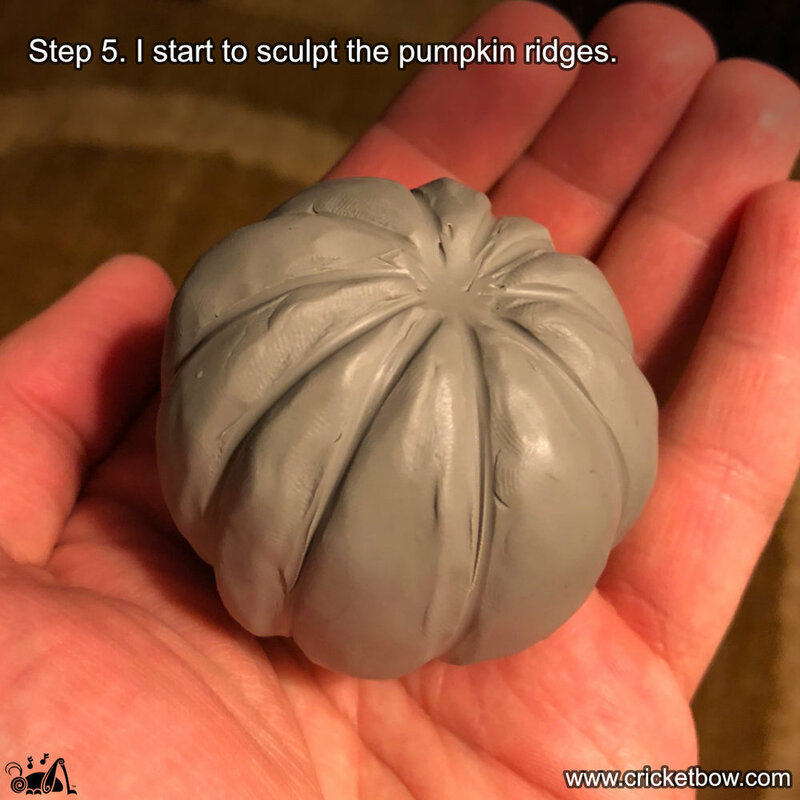 I hope you enjoyed this tutorial and have fun making your own little Sculpey pumpkins. And… have a Happy Halloween! 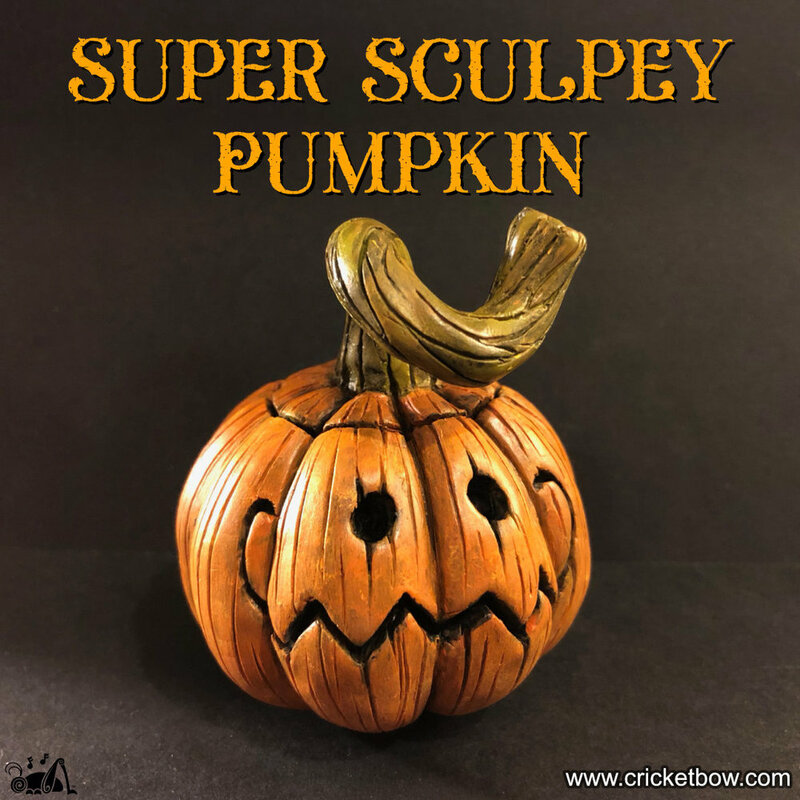 Check out my Instagram for more examples of Sculpey pumpkins.